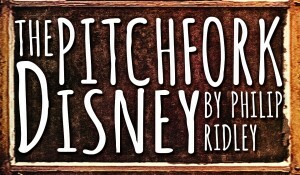 Coeurage Theatre Company, LA’s ‘Pay What You Want’ Company, has announced the first production of its 2015 season, The Pitchfork Disney written by Philip Ridley and directed by Rebecca Eisenberg. There will be two preview performances on Thursday, January 29 and Friday, January 30 at 8pm and opening is set for Saturday, January 31 at 8pm. The Pitchfork Disney will play through March 6 only at the Lyric-Hyperion Theatre & Cafe in Silver Lake. 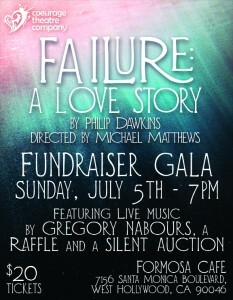 The cast will feature (in alphabetical order) Joseph V. Calarco, Adam Kern, Jeremy Lelliott, and Nicole Monet. Scenic design is by Amanda Stuart, lighting design is by Michael Kozachenko, costume design is by Marcy Hiratzka, sound design is by Jenna Riley, and fight direction is by TJ Marchbank. The stage manager is Vanessa Babida. Presley and Haley have lived in squalor and isolation since the disappearance of their parents 10 years ago. The agoraphobic twins use chocolate, drugs, and fantasy to keep the outside world away until Presley allows menacing entertainer Cosmo Disney and his imposing sidekick Pitchfork Cavalier into their home. For mature audiences only. 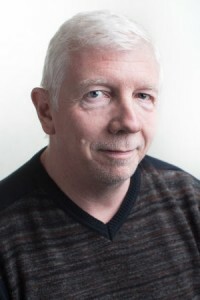 Philip Ridley is a writer, photographer, and film director. The Pitchfork Disney is his first play (1991). Other plays include The Fastest Clock in the Universe (1992), Vincent River (2000), Mercury Fur (2005), Leaves of Glass (2007), and Tender Napalm (2011), among others. 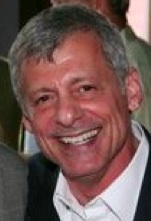 Ridley has authored numerous plays and novels for young people and he has written and directed several films. Ridley’s photography has been exhibited in London, Italy, and France. The Pitchfork Disney will play two preview performances on Thursday, January 29 and Friday, January 30 at 8pm and opening is set for Saturday, January 31 at 8pm. The regular running schedule is Thursday, Friday, and Saturday at 8pm through March 6 only (no performance on Saturday, February 7). All seats are available on a Pay What You Want basis, and may be reserved online at www.coeurage.org/tickets or by calling (323) 944-2165.